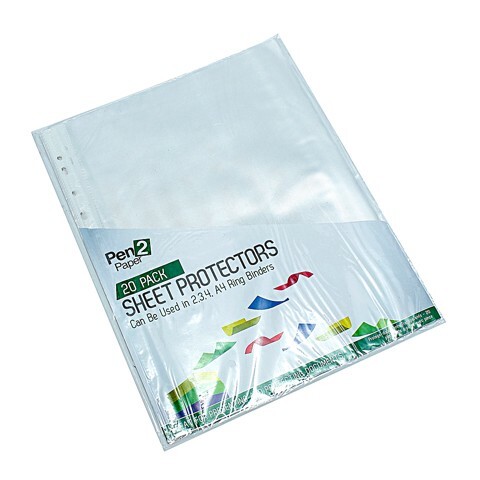 Sheet Protectors A4 20Pk. 23.5 x 30cm. Clear W/White Spine. 34 Micron PP Plastic. 94G Packaging: Printed Polybag.